Many travelers decide to take a day more in Stockholm or Copenhagen instead of heading to Finland’s capital. I visited it for a day, while staying in Tallinn last summer and I truly enjoyed the city. However, it was a cold day when I was there – the temperature was below 15°C and the wind was howling. Not that surprising considering we are talking Scandinavia. First of all, you’re probably wondering what’s the best way to get through the city. Helsinki is compact and walkable, and it has an excellent public transportation system. A very popular option is underground metro, but you can also use bus or tram. The last one was my choice. I highly recommend buying day ticket, if you’re in hurry. It’s going to save you lots of time. Prices can be found here. All of the transport options operate on the honor system; you don’t need to present a ticket, but if you’re caught by a patrol without one, expect an 80 euro fine. Yrj0nkatu Swimming Hall is not only the oldest indoor swimming hall but also one of the most impressive buildings in the city. You can swim care-free and enjoy the sauna after. They have separate swimming days for men and women. Women are welcome on Mon, Wed, Fri and Sun, while men get Tue, Thu and Sat. If you want an authentic Finnish experience, buy a second floor fare, because it includes so much more. Perfect place to do souvenir shopping, buy fresh vegtables and fruits (berries everywhere!) and eat some local food. You can’t imagine how happy this market can make you feel when it’s one of the first things you see in the city after you get off your ferry feeling hungry. Build in a rock and opened in 1969, this rock church will take your breath away. The church is used frequently as a concert venue due to its excellent acoustics. One of Helsinki’s best known landmarks. 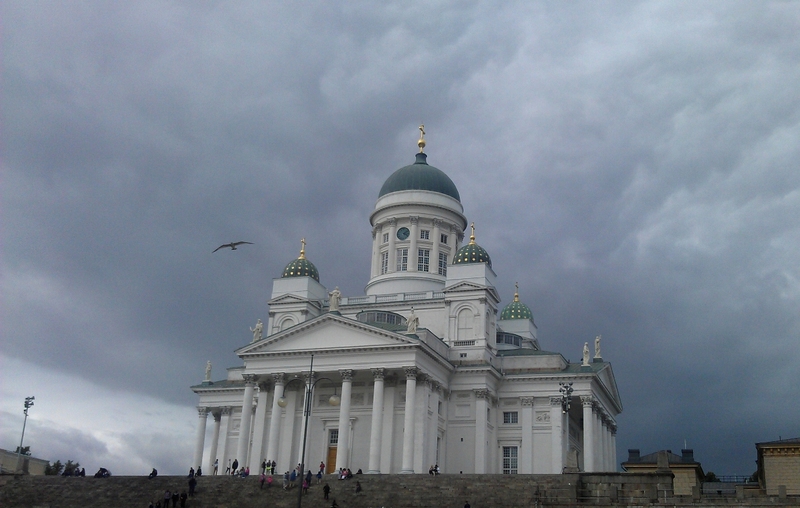 The green domes of this white-walled Evangelical Lutheran Church that towers over Senate Square (Senaatintori) was originally built to honour the Russian Tsar, Nicolas I. It was finished in the early 1850s. It was completed in 1868 and is the largest Orthodox cathedral in Western Europe. Unfortunately it was not possible to enter inside when I was there, but I’ve read it’s just as stunning as on the outside. Or just take a photo of them. Sibelius Monument is 24 metric tonnes of abstract act in honour of the famous Finnish composer, the monument was designed by Eila Hiltunen and sparked a lot of controversy when it was unveiled in 1967. Jog or have a slow walk around the Töölönlahti bay. By the way, locals always walk or run around the bay anticlockwise. Just one 5€ ferry ride away, this old bastion fort is especially popular in summer, when picnickers like to relax here on a sunny day. Surprisingly it’s also possible to visit it in winter and as we were told on walking tour, quite many people decide to take a ferry even when the island is covered in snow. It was first constructed by the Swedes in 1748 as a defense against the Russians. When the Russians took over Helsinki in 1808, they used it as a garrison. 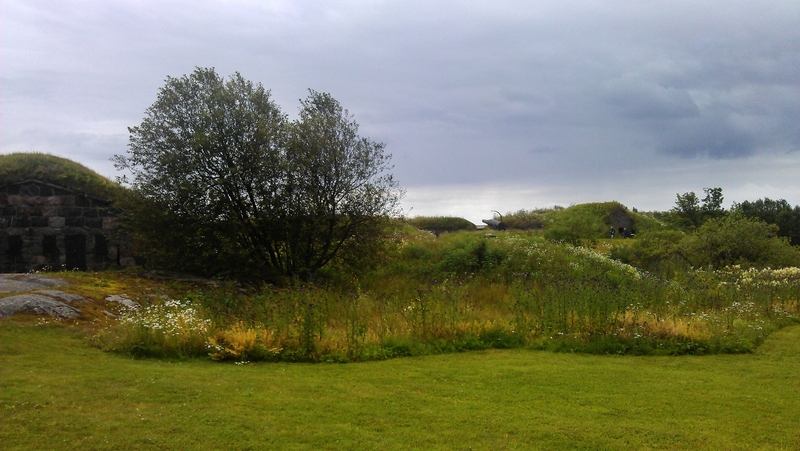 Eventually, it was taken over by Finland in 1918, and these days it’s a park and residential area to over 800 people with many facilities such as school. Sivukirjasto is a heaven for anybody that loves books and beers. That’s right! This exists. Don’t worry, although they have a huge collections of beers, they also serve other alcoholic and non-alcoholic drinks. Inside you’ll also spot several board games and of course, a range of books to sit and read over your beer or to loan and take home.